SOCHI: Neymar hobbled out of a training session on Tuesday, setting alarm bells ringing in the Brazil camp as they prepare for their second World Cup group game against Costa Rica on Friday. “Neymar came out of training today with a painful right ankle,” said Vinicius Rodrigues, a spokesman for the Brazilian Football Confederation (CBF). 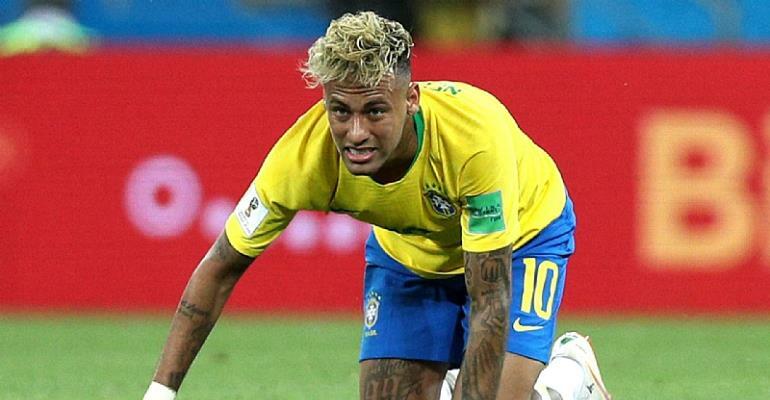 He put the knock down to the number of fouls Neymar received in Sunday´s 1-1 draw against Switzerland in Rostov-on-Don in Brazil´s opening Group E outing. Neymar had not taken part in training on Monday, as the side returned to their base in Sochi on Russia´s Black Sea coast. Rodrigues confirmed the problem concerned the Paris Saint-Germain star´s ankle and not the foot he fractured in February, an injury that required surgery and forced him to miss the rest of the club campaign. “As soon as he felt the pain he went to the physio. He will stay there for today and tomorrow (Wednesday) morning, and will train as normal tomorrow,” added Rodrigues. “Today was more of a recovery session and it happened almost at the end. I think he felt a bit of pain but that is normal,” said the Barcelona man. Neymar only made his comeback from the foot operation as a substitute in Brazil´s 2-0 friendly win against Croatia on June 3. He scored in that game, and then made his first start since the injury, also scoring, in a 3-0 win over Austria in Vienna just before Tite´s squad flew to Russia. “Neymar is one of the best players in the world. Of course, having him in our side is a big plus for us,” added Coutinho. While the world´s most expensive player battles to be fit for Costa Rica, Brazil are due to travel on Wednesday evening to Saint Petersburg, where they will play Friday´s game.